Bundesliga | Where does RB Lipzig's Oliver Burke rank in the Top 5 Scots in the Bundesliga? 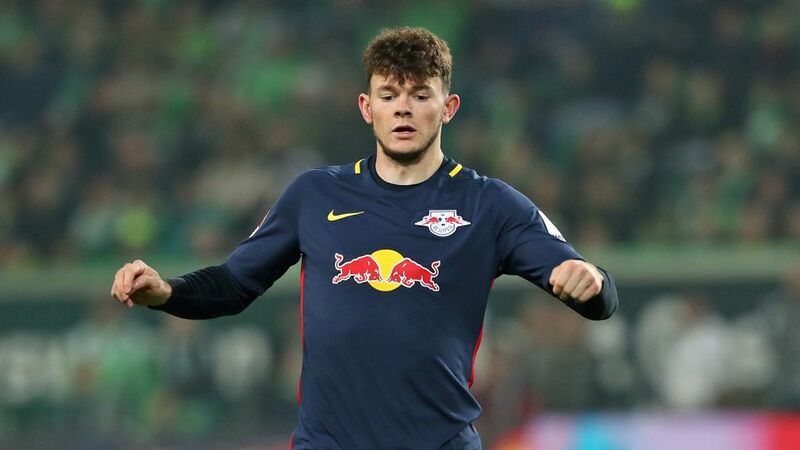 Where does Leipzig's Oliver Burke rank among the Bundesliga's Top 5 Scots? Oliver Burke comes face to face with a taste of home on Sunday when RB Leipzig host Scotland's record 54-time champions Rangers FC in a friendly. The Bundesliga club's flying Scotsman will be looking to make an impression: Emil Forsberg is suspended for the first three games of 2017, meaning that if Burke catches the eye this weekend, he could be in line to start in attacking midfield against Eintracht Frankfurt on Matchday 17. Burke only costs 3.9M in Official Fantasy Bundesliga, so make him one of your unlimited winter transfers now! Lambert may only have spent one full season in Dortmund, but it is safe to say that BVB fans will never forget his impact. Defending the title, Borussia's third-placed Bundesliga finish was an acceptable return in 1996/97, but the central midfielder helped Die Schwarzgelben to their one and only UEFA Champions League success, ensuring him a place in club folklore. Writing in German football magazine 11Freunde in 2015, lifelong BVB fan Uli Hesse described Lambert's place in Dortmund's history books thus: "He was a completely unknown Scot at the start of the season. He became not only a key player, but also a fan favourite, one who set up the first goal in the final. He might have been signed as back-up on a free, but [Ottmar] Hitzfeld later called him the signing of the season." Team of the Hinrunde: click here to vote now! The only Scot currently plying his trade in Germany's top flight, Burke joined Leipzig from English Championship side Nottingham Forest last summer. He quickly stormed his way into club record books on his debut, teeing up Naby Keita to score the winner against Borussia Dortmund on Matchday 2 for the easterners' first-ever Bundesliga victory. Burke followed up that barnstorming maiden appearance with a first Bundesliga goal in a 1-1 draw at 1. FC Köln on Matchday 5, and has featured regularly since as Ralph Hasenhüttl's promoted side have climbed to second in the Bundesliga. "Every day I'm learning something new and I can only get better at this club," Burke told The Set Pieces in November. "I have the right people around me and I'm still young."